Includes: Hioki BT3554, Pin type Lead, USB Cable, Software CD, Strap, Carrying Case, Zero Adjustment Board, 8x LR6 Alkaline Batteries, Fuse. Although little changes have been done to its appearance and size, the redesigned BT-3554 internal circuitry has been dramatically refined and its noise tolerance significantly improved. Thanks to these enhancements, the instruments can quickly and reliably diagnose internal lead-acid storage battery degradation even in environments characterised by noise from UPS operation. Hioki portable battery testers support the maintenance of UPS and storage batteries critical to the life support of all businesses. 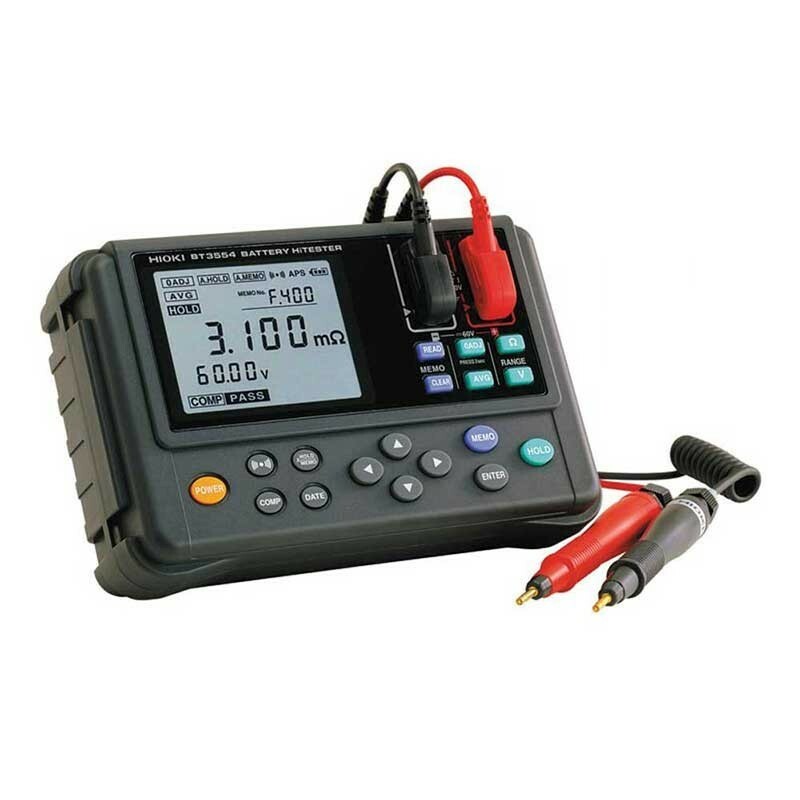 The Hioki BT3554 battery internal resistance tester sets the standard for assessing the deterioration and remaining life of lead-acid batteries by giving a complete diagnosis via battery resistance testing. The BT3554-01 is built-in with Bluetooth® wireless technology for managing data on mobile devices. 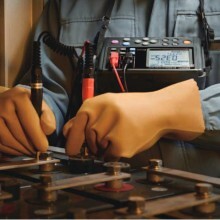 To deliver fast, highly stable testing, Hioki developed new Noise Reduction Technology for the BT3554. The resulting ability to limit variability caused by noise reduces the new instrument’s measurement stabilisation time by a factor of three compared to that of the 3554. Measure and save data in as fast as 2 seconds, a 60% improvement from the legacy 3554. 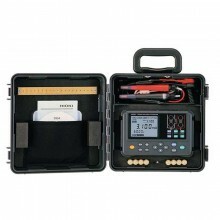 Instantaneously diagnose degradation (PASS, CAUTION FAIL) by measuring internal resistance and voltage. Check deterioration of compact secondary up to large lead-acid batteries. Noise Reduction Technology improves noise resistance. Send data to mobile device via Bluetooth® wireless technology (BT3554-01 only). 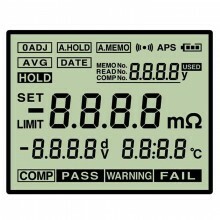 6 V ±6.000 V 1 mV ±0.08% rdg. ±6 dgt. 60 V ±60.00 V 10 mV ±0.08% rdg. ±6 dgt. Temperature measurement (when using the 9460). ±60 V DC max (No AC input allowed). Operating environment Indoors, pollution degree 2, altitude up to 2000 m (6562 ft). 0°C to 40°C (32°F to 104°F), 80% RH or less (no condensation). -10°C to 50°C (14°F to 122°F), 80% RH or less (no condensation). Power supply AA (LR6) Alkaline Batteries x 8. Approx. 8.5 hours (When using alkaline batteries). Auto power save Auto power off after 10 minutes unless during data transmission. Approx. 192 mm (7.56 in) W x 121 mm (4.76 in) H x 55 mm (2.17 in) D.
Weight Approx. 790 g (27.9 oz) (including batteries). Hioki BT3554 warranty 1 year. 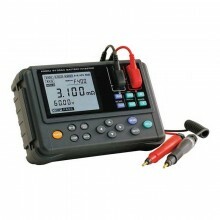 PDF Brochure of the Hioki BT3554 Battery Tester.